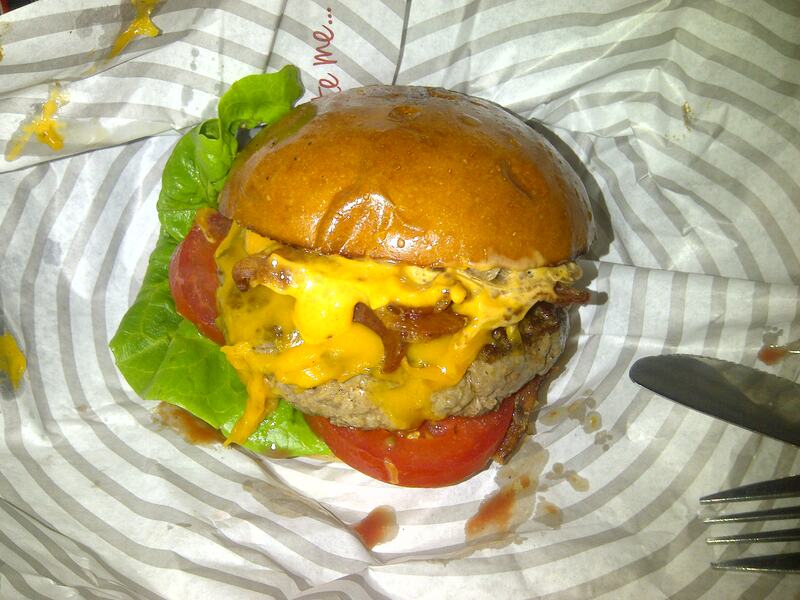 Patty & Bun, purveyors of the best burgers in London, opened a second site near Liverpool Street in the spring of last year. 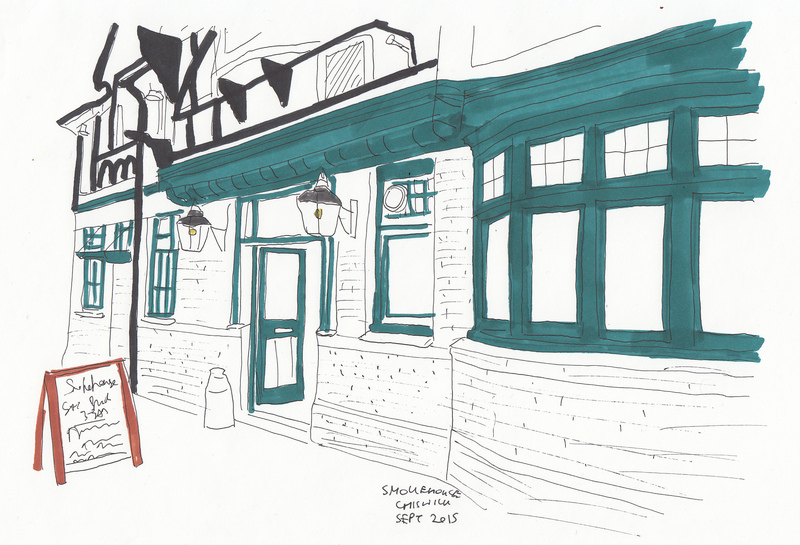 The small restaurant is just round the corner from the station entrance and is more geared towards takeaway customers than their original perma-rammed James St. site. 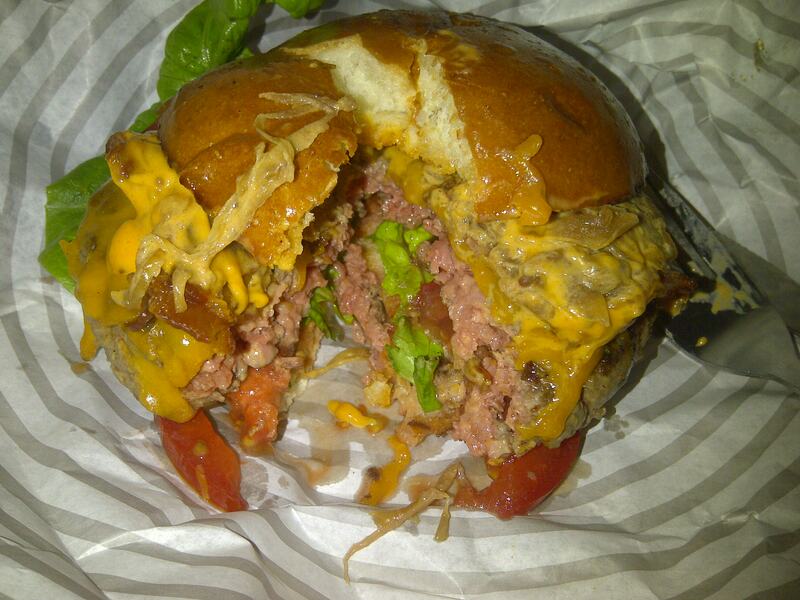 Their menu offers 3 beefburgers (£7.5-8.5) along with chicken and veggie options, as well as a daily burger special. And in effort to cater to hungover city boys they have also branched out into breakfast burgers – with P&B bacon, sausage and veggie rolls (£4). I couldn’t resist the “smoke cheese everyday” (£11.5) special of a beef patty, packed with bacon, green chilli relish, chipotle ketchup, smoked cheese mayo and smoked cheddar. The bun was the usual (and now much copied) P&B glazed brioche effort – it was slightly sweet, nicely sticky and did a great job of holding all the components together. 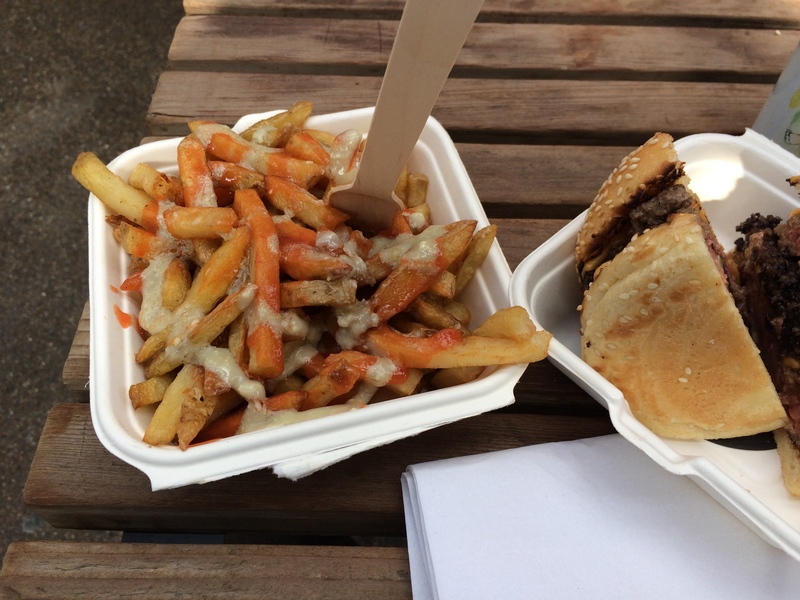 The highlight of the condiments was the smoked cheese mayo (they make the mayo in-house and keep their recipes a closely guarded secret) – it was decadently rich and a perfect texture, being thick but still runny enough to integrate with the juicy burger. Chips were cut medium-thick and served skin-on with rosemary salt – they were definitely freshly prepared and nicely crispy, the hints of potato skin adding good texture. 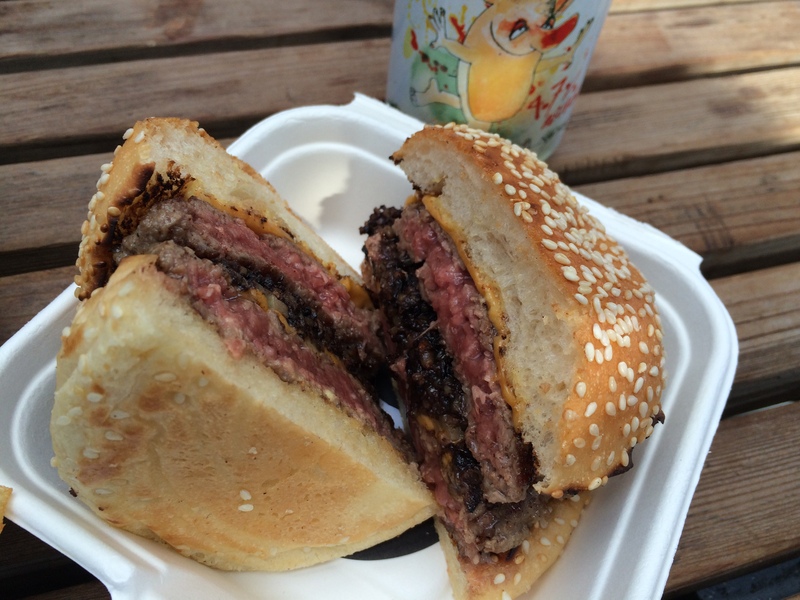 For me, the burger was exemplary – the meat was moist, well-seasoned and full of character. 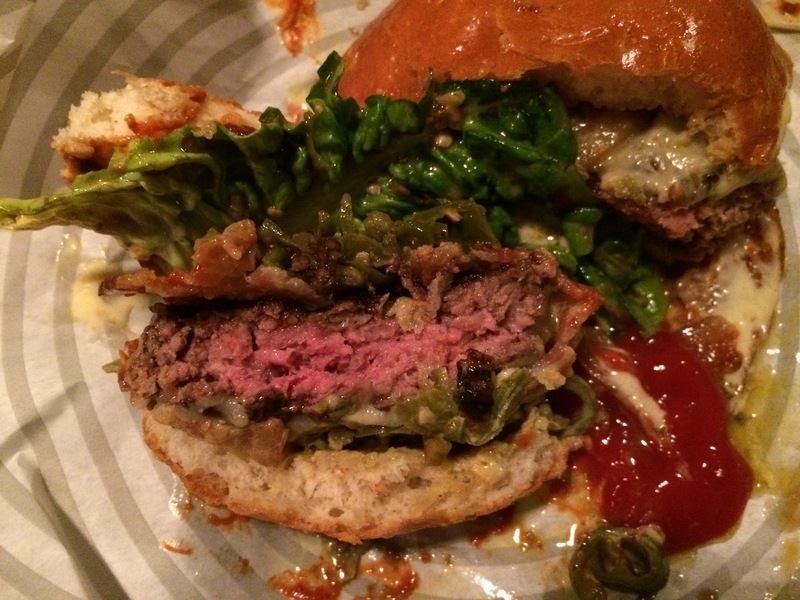 The general consensus still seems to be that P&B serve up the best burgers in London, although there has been some debate about the Liverpool St branch doing some sneaky pre-cooking (explained by the management as holding burgers in a thermodyne). 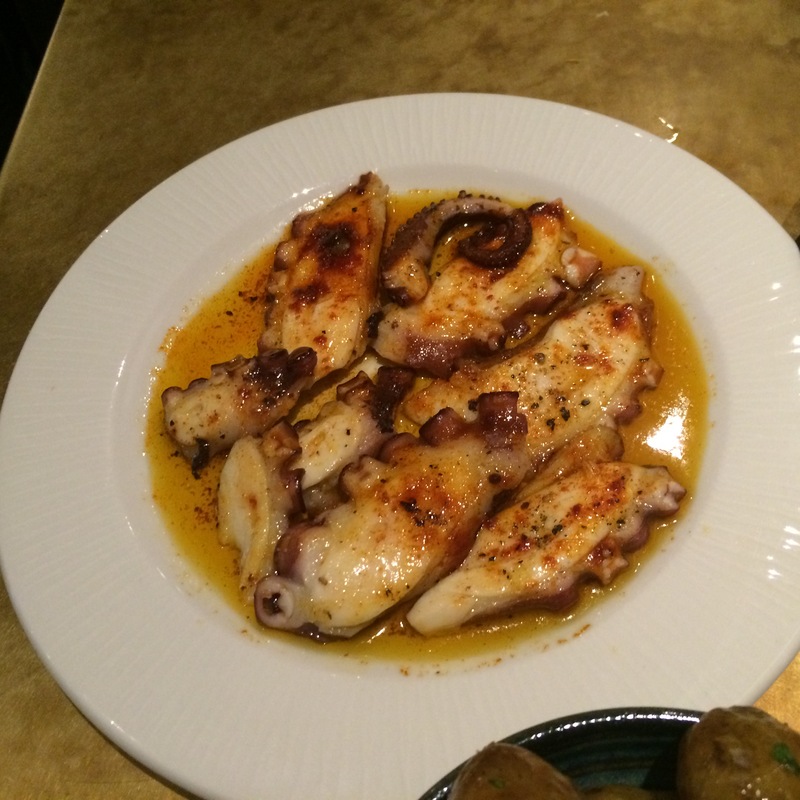 You should also note that whilst you can sit in at P&B Liverpool St it is not a place to linger – the few high seats and tables are not very comfortable and we were politely but swiftly told to sling our hook as soon as our final morsel of food was dispatched……this is proper fast food. Five Guys is an American burger franchise (think of a slightly posher McDonald’s) that first came to London a couple of years ago and now has 8 outlets across the capital and 16 in the rest of the country. 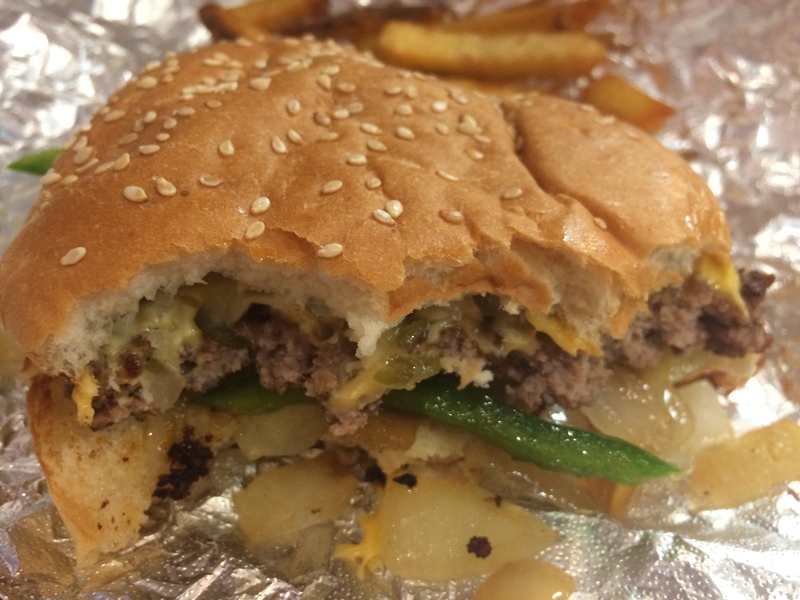 The Five Guys moniker comes from the founders Janie and Jerry Murrell who had four sons when the company was formed in 1986; another son arrived two years later and all five are currently involved in the business. 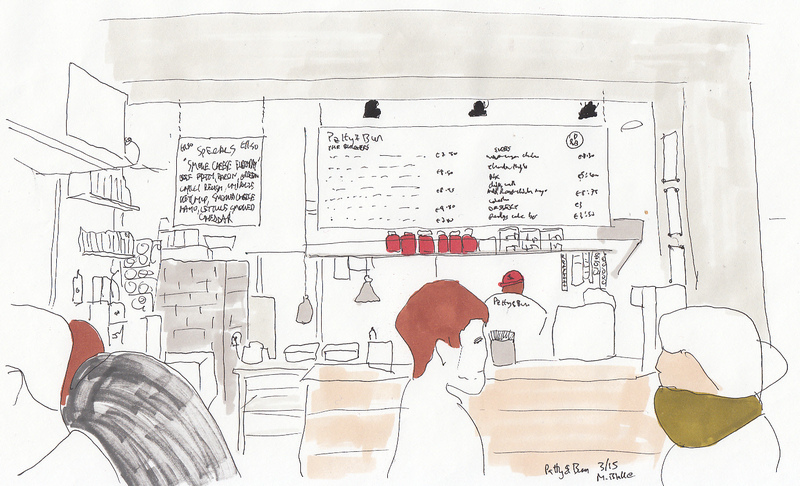 I went along to the flagship Covent Garden branch which opened on the 4th of July (when else?) 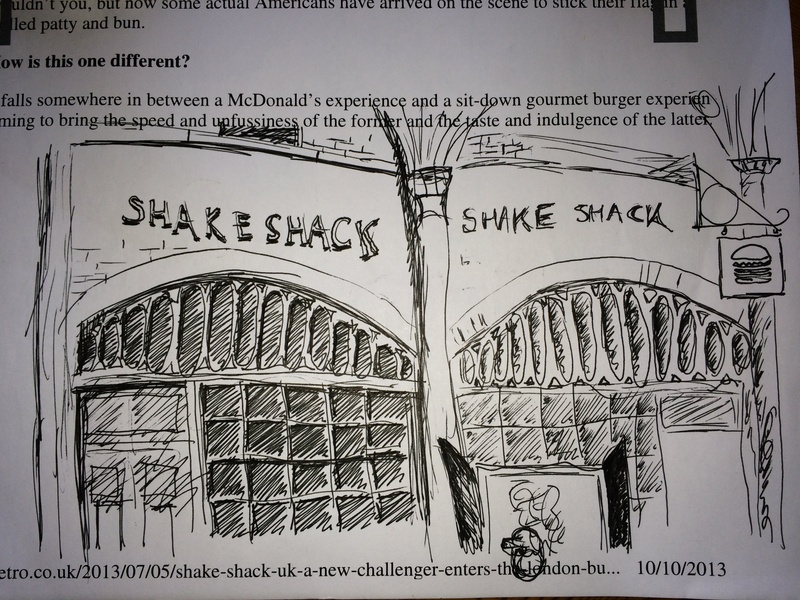 2013 when London was going burger crazy – initially the queues were long and the reviews lukewarm, but the hype has now died down and I only needed to wait about 10 minutes for my meal on a Saturday lunchtime. 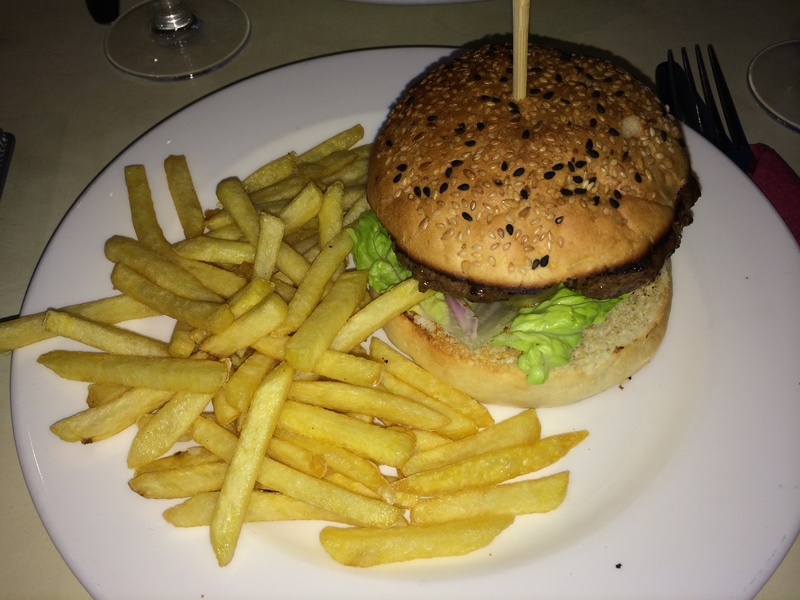 The burger was a very flat, fairly dry affair – it was cooked through and a bit underseasoned, especially compared to the highly salted chips. They offer a good range of toppings and I opted for grilled onions (which were undercooked and not quite caramelised enough), green peppers (decent) and relish (slightly sweet but with a nice gooey texture). The roll was heavily seeded and quite dense/bready, but looked rather sad and collapsed after it’s imprisonment in silver foil. 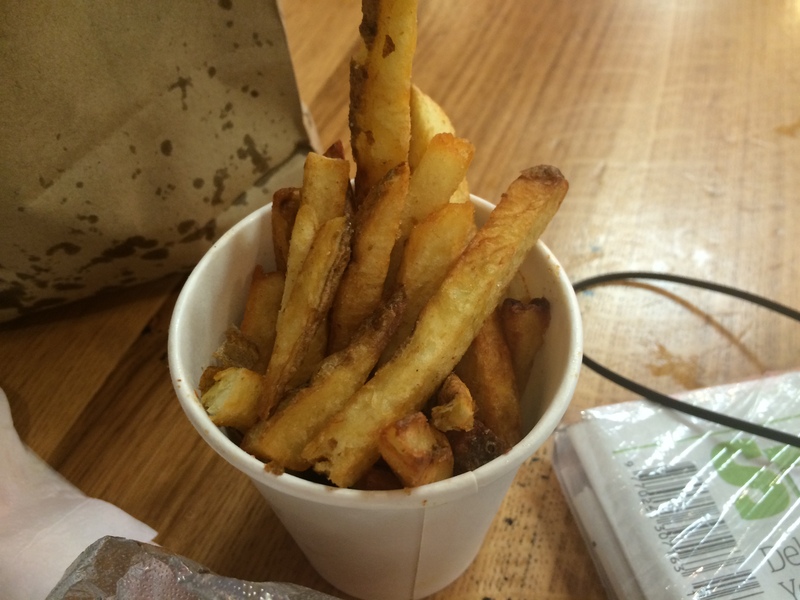 I opted for “small” fries which were jammed into a small cup and then placed into a paper bag into which another shovelful of fries was liberally sprinkled – this would have been enough for two and despite my best attempts I couldn’t finish them. The origin of the potatoes used for the fries is displayed on a whiteboard which is a nice little touch and the Dutch potatoes used for my fries had a bit of character – they were moist and well coloured. Novelties for London customers will be the unlimited soft drinks refills (a dentists nightmare which is common in the US) and the wide range of extra toppings which can be added in any quantity for no extra cost. 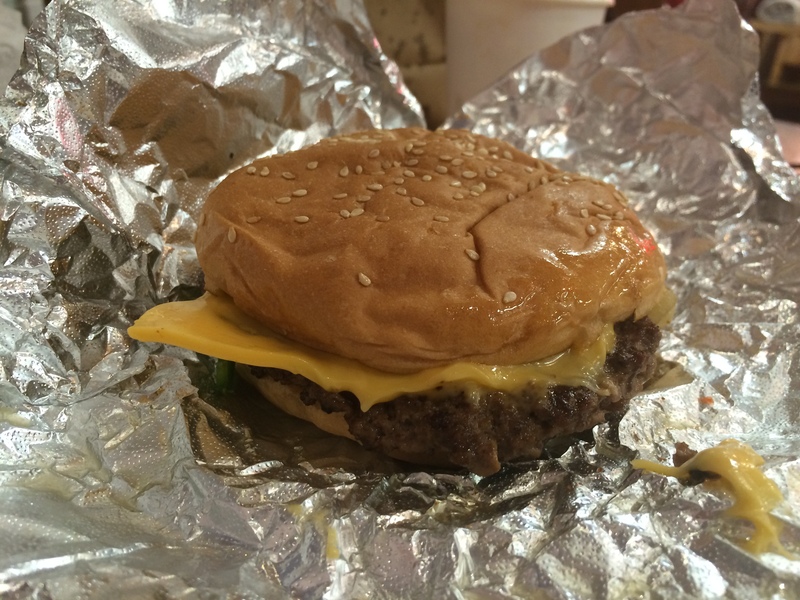 Categories: Burgers | Tags: five guys, jerry murrell, patty & bun | Permalink. A lot has been already been written about MEATliquor, both online and in the printed press; common themes include long queues, obscenely loud music and decor that tries hard to be offensive (……but the burgers are great). 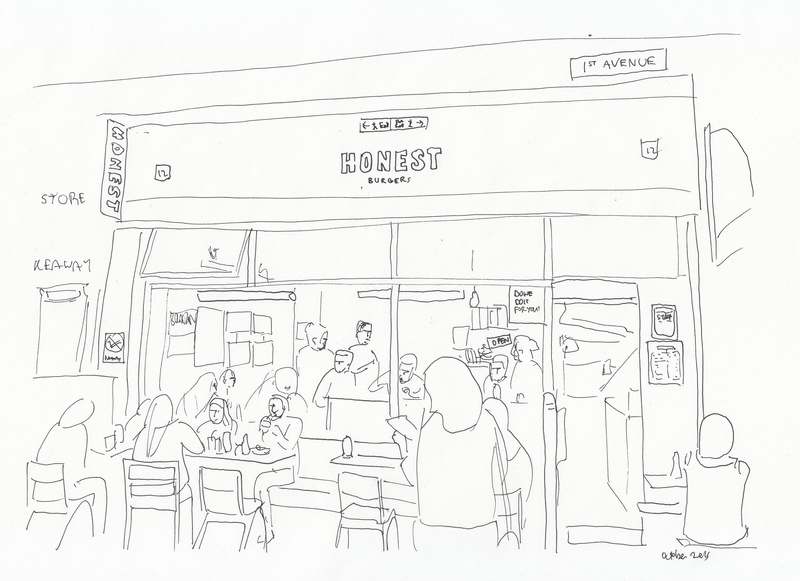 I went on a freezing Monday night so thankfully I didn’t need to queue for too long (circa 20 minutes) – there was no hand stamping regime to manage the queues but there was a very grumpy bouncer manning the front door. 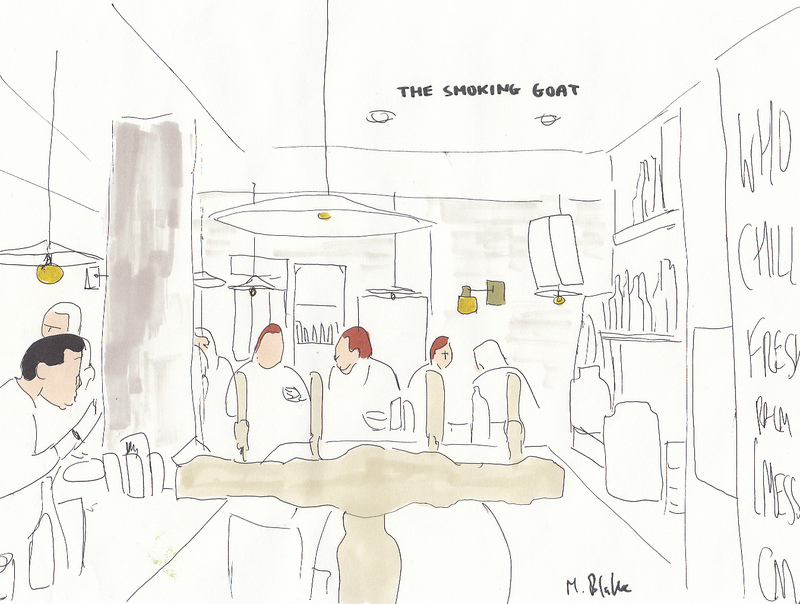 The dining room is hot, dark, very noisy and slightly chaotic, with bizarre anti-capitalist decor that looks as if it has been produced by a trendy design agency. On entering, you are ushered to the bar to wait again and enjoy a cocktail (the waitress forgot about us so we waited a bit longer than usual – I suggest you badger her until she offers you a table). The menu is very simple – it is a selection of ten burgers, a chilli dog and chicken wings (all reasonably priced at £6.50 to £8). There are four kinds of chips (fries) ranging from unadorned to “Phili” which drapes them in steak, onions, mushrooms and cheese. I chose the Dead Hippie: apparently the name derives from visits the chef made to the Burning Man festival in the Nevada desert – an event that attracts a lot of brain dead hippies. 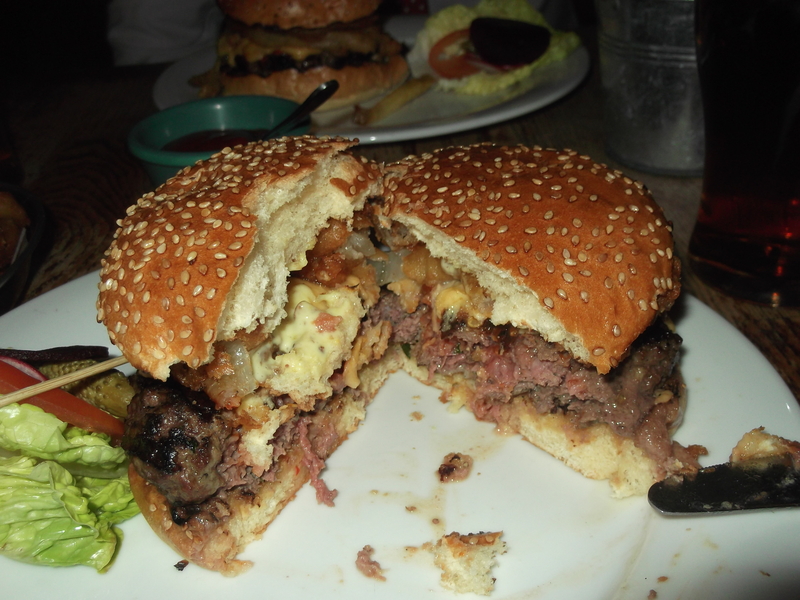 It consisted of two beef burgers, cheese, pickles and finely chopped white onions, all piled between a light sticky bun. 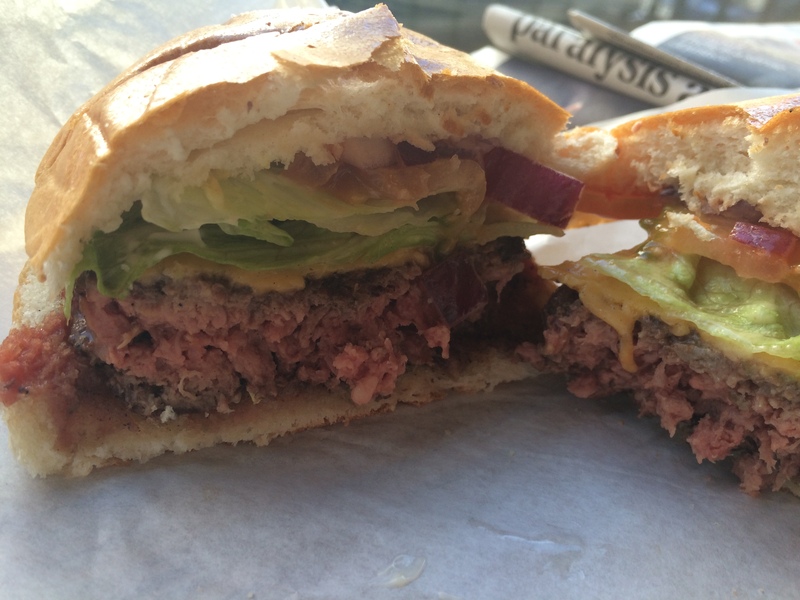 The burgers were perfectly cooked with a rich pinkness in their centre – the mince was fresh and fatty, lending a beautifully moist finish. 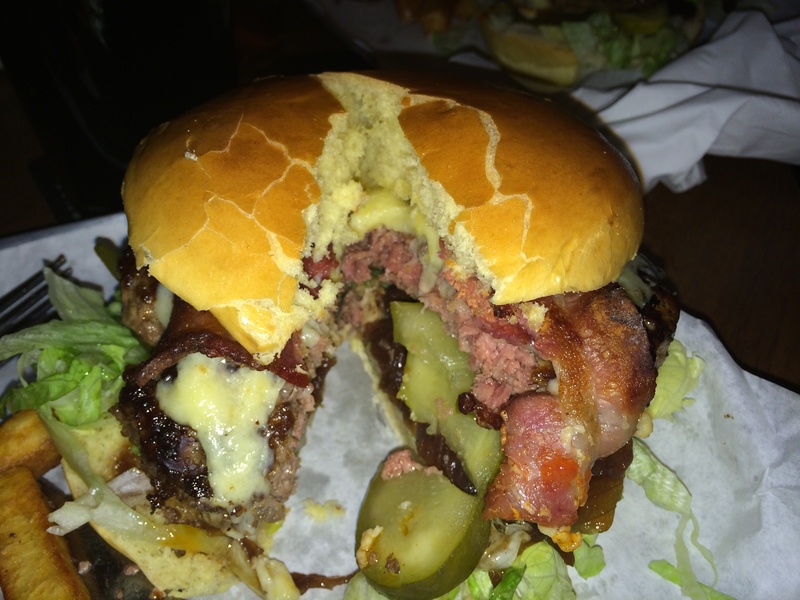 It is certainly one of the best burgers I have eaten in London. The fries and slaw were acceptable and nothing more than that, but the onion rings were really fantastic – they were sweet and tangy, housed in a light batter. 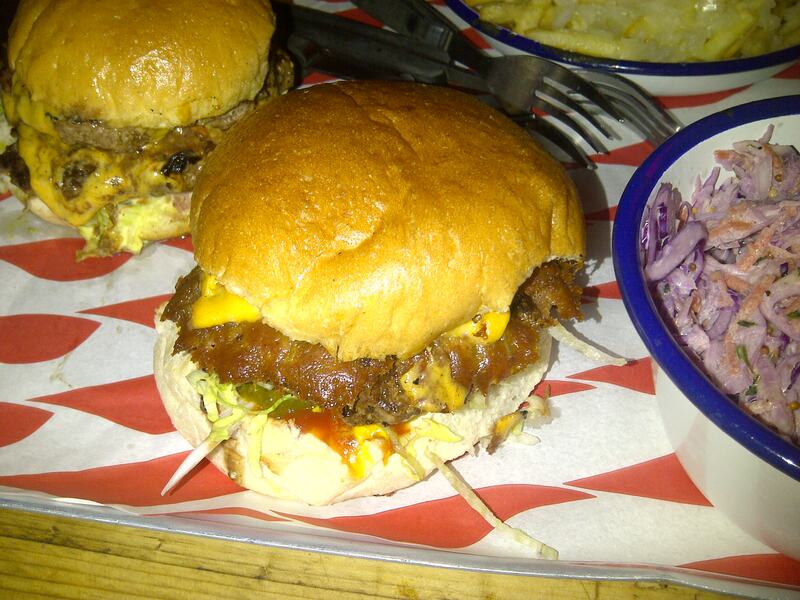 Verdict: Just about the best burgers in town. 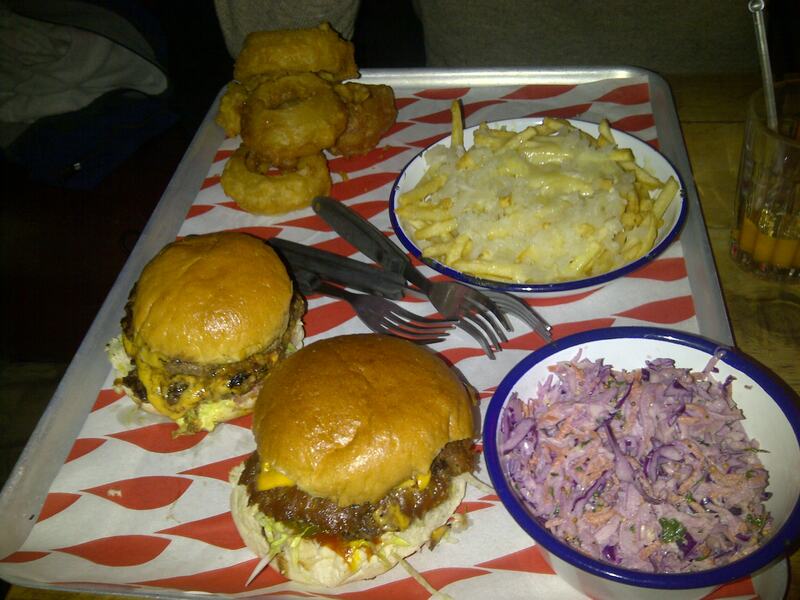 Dead Hippie, Slaw, Cheese Fries and Onion Rings. 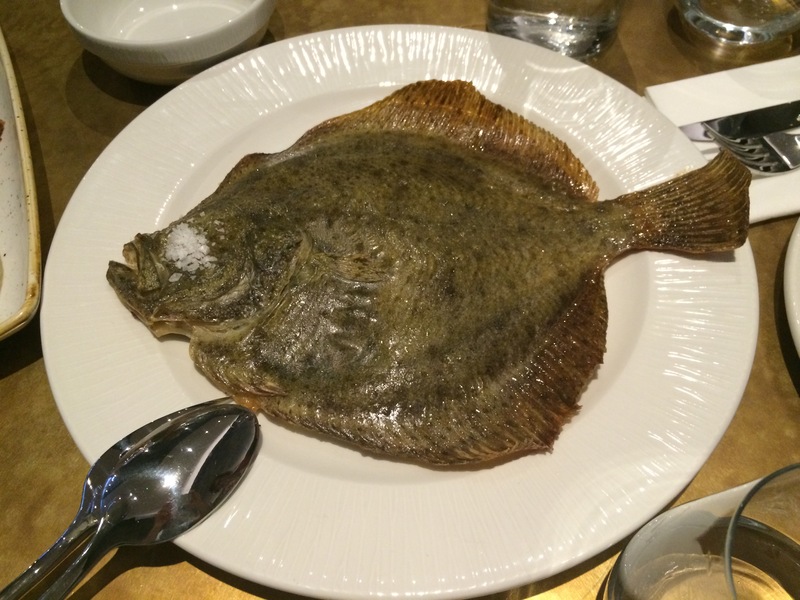 Also see: Samphire and Salsify, The Trishaw and Tuck & Vine. There is a lot of online debate about who invented the hamburger: the most credible source I can find claims it originated from the Mongols who stashed raw beef under their saddles and over time the meat became tender enough to eat raw. Many decades later as world trade routes expanded the idea was exported to Hamburg and the canny Germans decided to heat the meat up to make it easier to digest. Many American towns on the Eastern seaboard lay claim to the first hamburger in a bun, and the folklore features many good ol’ American characters like Louis “Lunch” Lassen (New Haven, Connecticut), “Hamburger” Charlie Nagreen (Seymour, Wisconsin) and the Menches brothers (Hamburg, New York). 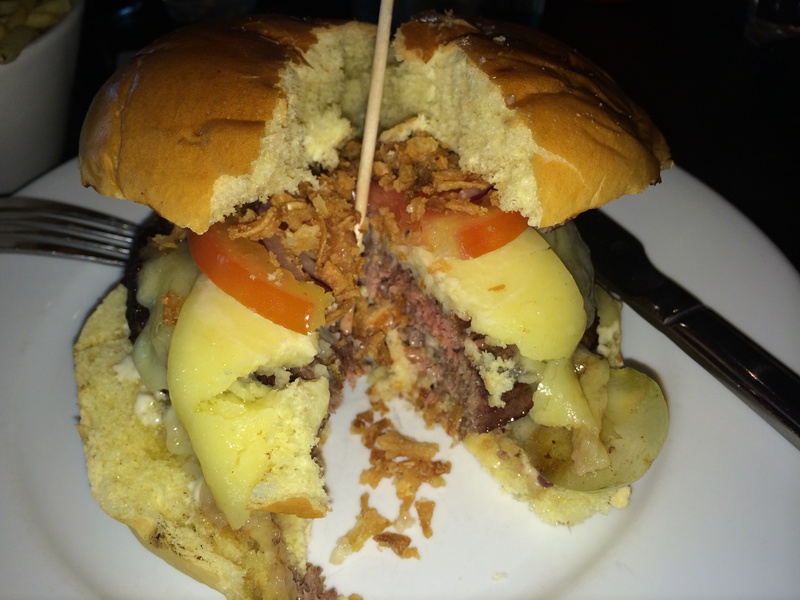 But it is very hard to trace the origin of a dish as simple and superfluous as a hamburger. 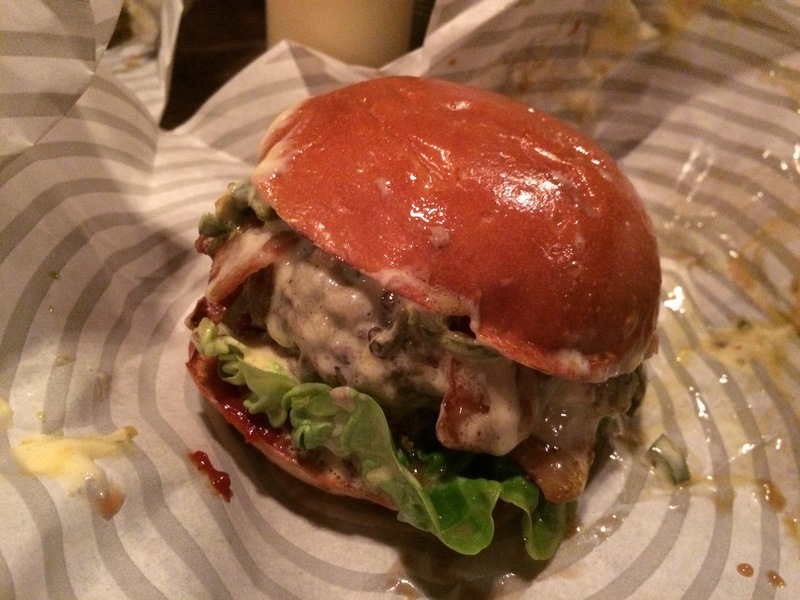 It is, however, much easier to trace the origins of the recent hamburger boom in London – the day, almost five years ago, when a canny entrepreneur called Tom Byng opened the first Byron Burger. 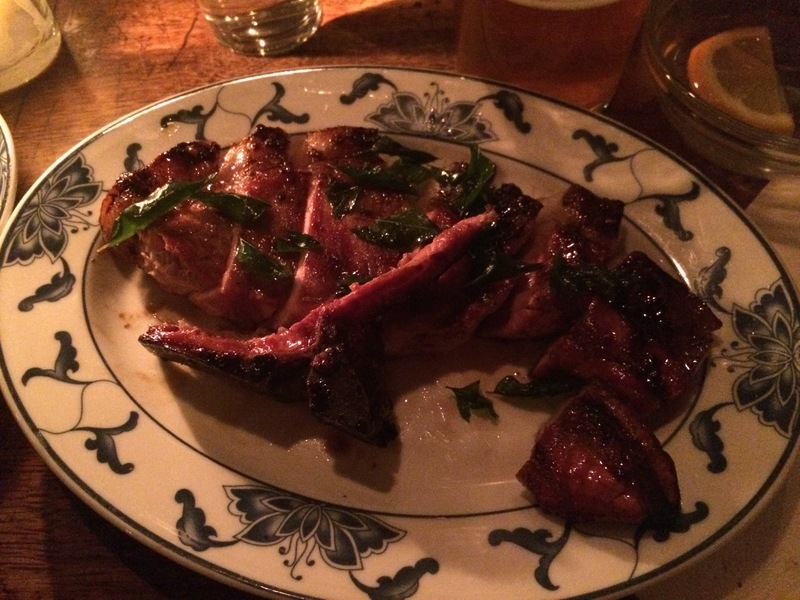 His restaurants raised the bar in terms of meat sourcing and cooking, also adding a bit of style to the mix. The burger trend has spread far and wide in the London restaurant scene and is now also improving the quality of pub food. 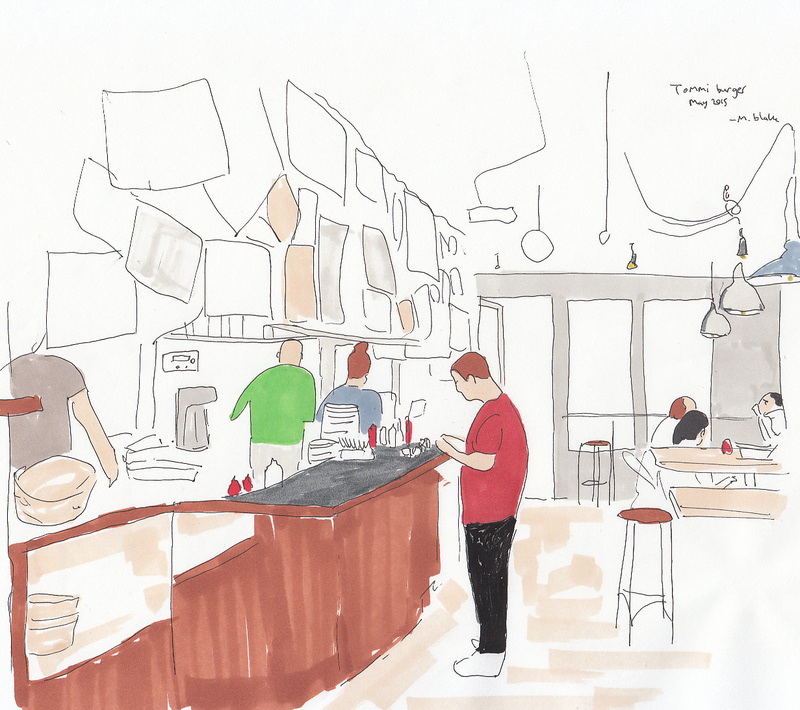 The Draft House chain is famous for its burgers with the esteemed Jay Rayner having paid them a visit a couple of years ago. 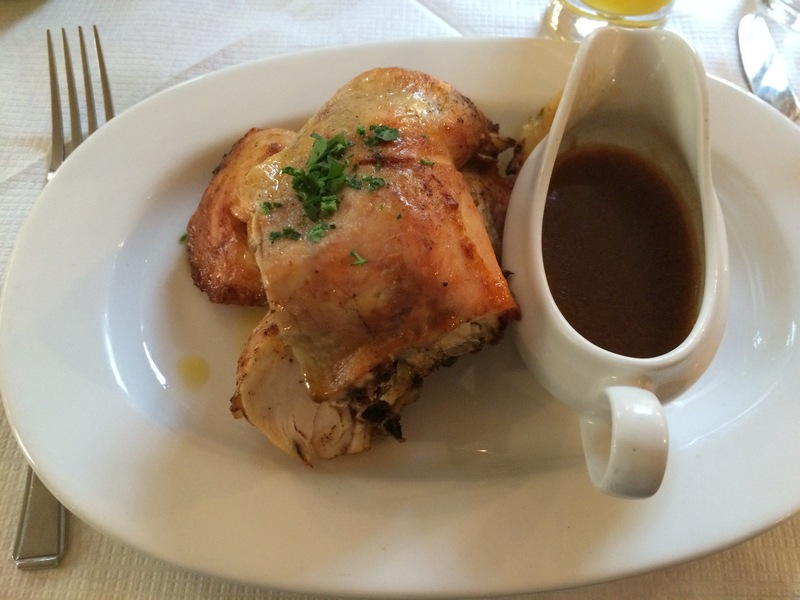 They now boast five branches which all focus on proper beer and decent pub grub. At Tower Bridge they have around 20 beers on tap ranging from continental weissbiers to British porters and bitters. 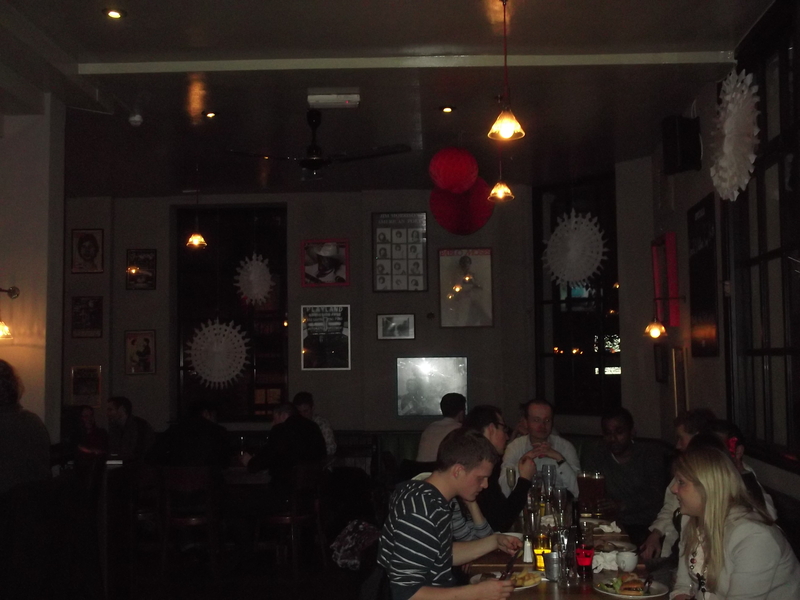 The clientele were a mix of office workers and students/creative types – the atmosphere was very congenial but it was certainly not buzzing on a wet Tuesday night. 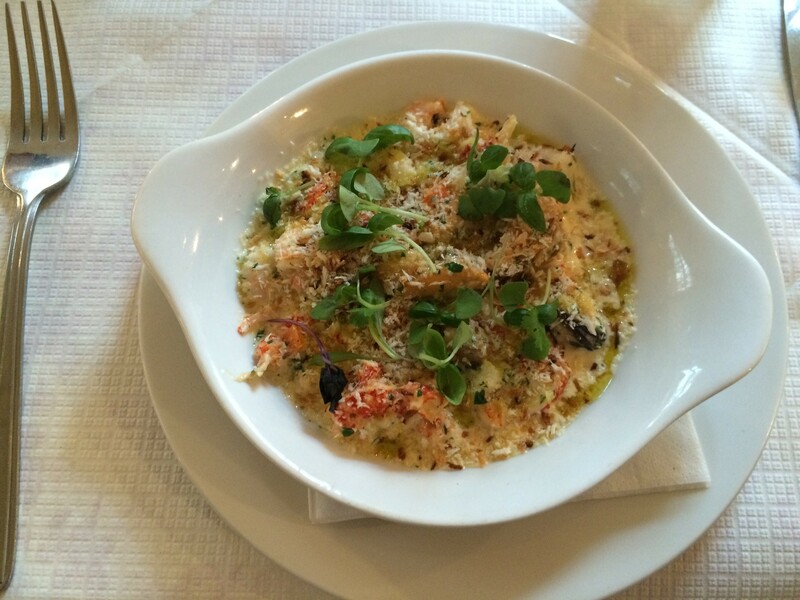 The menu is short, boasting pub grub classics like fish and chips and macaroni cheese. There are three kinds of beef burger and I opted for “The Poke” (£9.75). 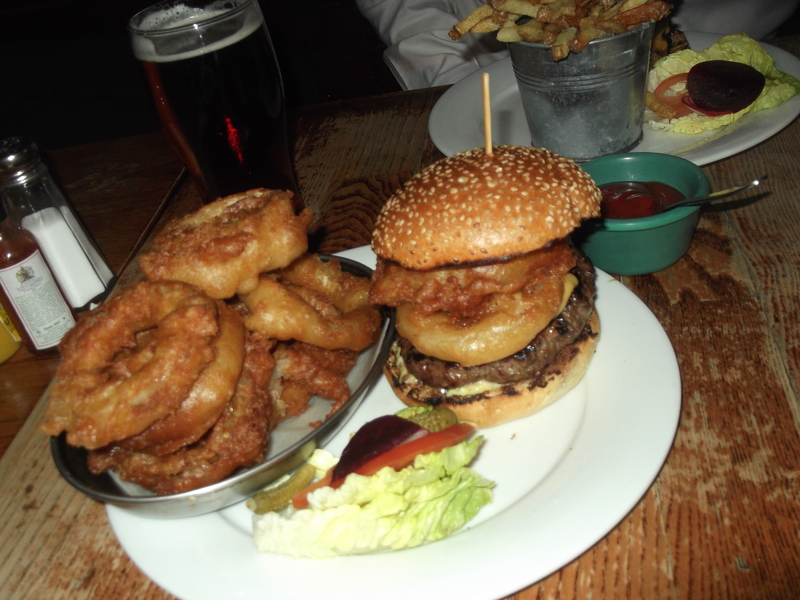 It is a 8oz burger with Crushed Bird’s Eye Chillis, Old Amsterdam Cheese and an Onion Ring. I was asked how I wanted it cooked and it arrived medium rare as requested. 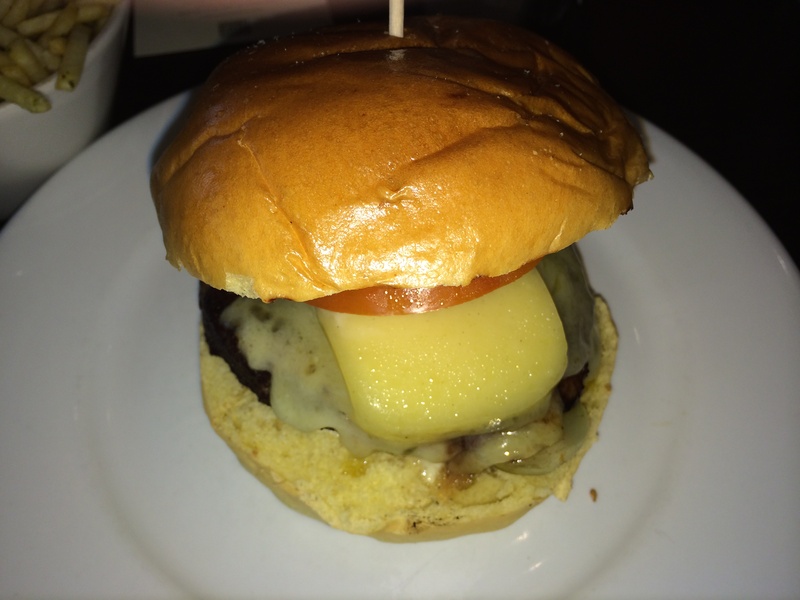 The burger was encased in a slighly sweet seaseme seed bun and nicely topped off by the rich mature Dutch cheese. 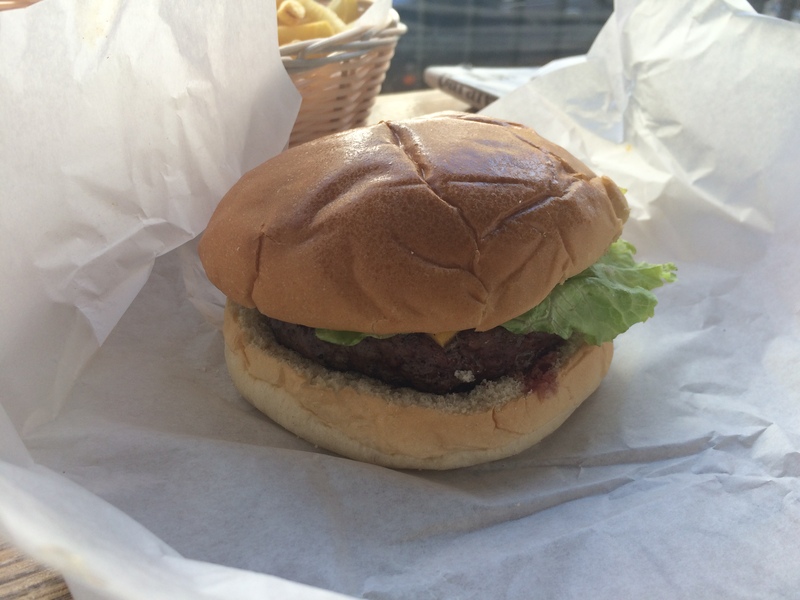 In fact, I actually preferred my burger to the “Mo” I had at Byron – the meat had stronger seasoning and was nicely married with the sweet sticky bun. 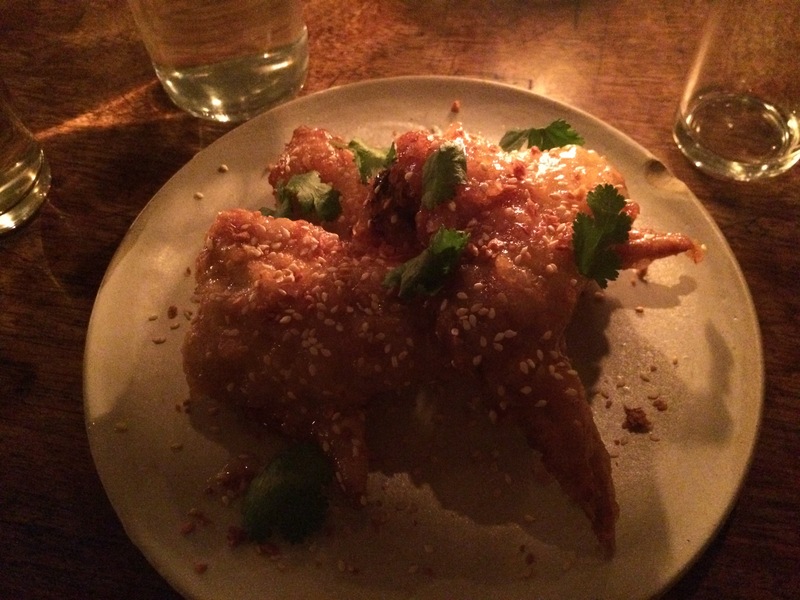 My onion rings were equally pleasing, coming in a light tempura-esque batter and they had certainly been cooked in fresh oil. 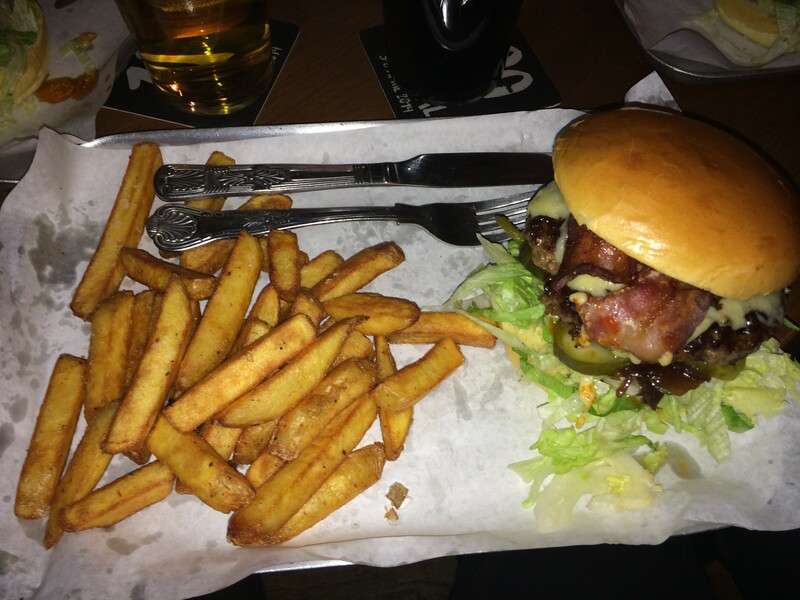 The Draft House has a fantastic range of ales, continental and craft beers – their burgers are cooked to order using good quality ingredients and the rest of their small menu looks very tasty. 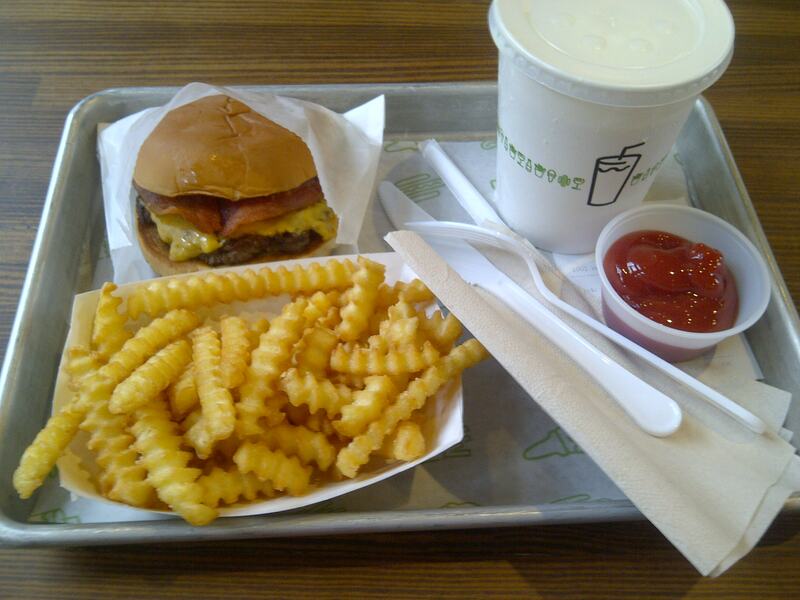 Also see: thecriticalcouple, burger feast by Burger Me! and GET FORKED!. 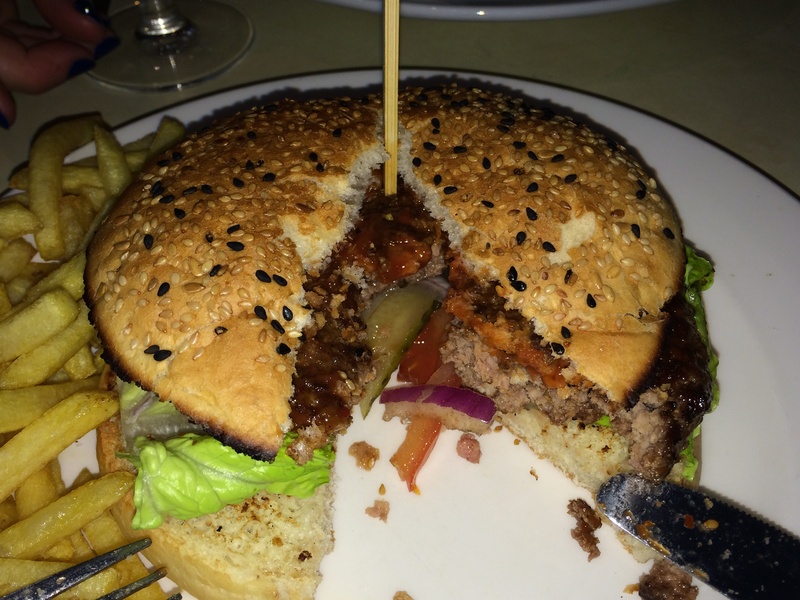 Categories: British, Burgers | Permalink.